So when the time comes to sell a six or seven-figure company and the high-stake negotiations begin, we start to get it wrong because we are unfamiliar with how to do things. We fall back on old stereotypes from movies such as Wall Street or TV shows like Law and Order. We tell white lies because we think that it will put pressure on the other party to make a quick, favorable decision. For example, telling them you have another party ready to buy immediately. Negotiating the sale of a company requires more than technical negotiation techniques. It requires tact, diplomacy and most importantly, a human touch. Since 2007, when I started my company Quiet Light Brokerage, I’ve found myself knee-deep in high-stake negotiations and have learned the following valuable lessons. When you’re talking, you don’t have to talk over others to be in charge of a conversation. In fact, the best negotiators know that their most powerful weapon is to listen. Silence can be awkward. People hate silence, so they’ll often talk to fill it. When they do, listen carefully to what they’re saying and you’ll identify their real, core objectives. You can use this to craft a deal that meets everyone’s goals. I recently had a seller who balked at a buyer’s request to speak directly to his customers before committing to an acquisition. My client didn’t want his customers knowing about the acquisition until he was satisfied that it would happen. When we listened carefully, it was clear that the buyer didn’t need to approach customers as a potential acquirer, he just needed to verify that they were happy. So instead of calling customers as a potential acquirer, the buyer called customers on behalf of my client’s business to get customer feedback. When we listened to him in negotiations, we heard more than what he as a buyer requested; we heard what he actually wanted. Buying a business entails a lot of risks, and when there is big money on the table, the interested party naturally becomes skeptical on various issues. This sometimes leads them to develop an overactive imagination. So it’s in your best interests to identify any issues up front that are likely to crop up, then disarm the other side with honesty and candor. Are sales going through a rough patch? Then don’t bluster through a half-baked explanation. Just admit it and explain why you think it is happening, and then explain what you think will fix it. Is a vendor going to act like a spoiler and start changing the terms of their contract as soon as the business changes hands? Then bring that up before the potential buyer does so you can work out a strategy. We recently had a client who failed to follow this rule and it cost him a sale. We were just at the point of closing the acquisition when the buyer learned about a lawsuit that happened a few years prior. Our client didn’t think it was important, since the lawsuit was frivolous. Our buyer didn’t agree: Even though the lawsuit wasn’t a threat, the lack of disclosure was enough to make the buyer nervous. Eventually, the deal disintegrated. People can handle bad news, but they hate surprises. Bring your skeletons out of the closet early, and show that they aren’t as scary as a buyer might think. The greatest leverage you have at the negotiation table is your ability to walk away. But by doing so, it weakens your position if you decide to return. If you return, you’ll send the message: “I need this deal to go through—somehow. So I have no choice but to continue talking to you.” You’ll instantly lose leverage. So before the negotiation begins, have a plan B. It’s not a bad idea to have a plan C, either. Are there other buyers, or can you hang onto the business longer? Have a backup plan; otherwise, you may end up empty-handed and feeling foolish. One of the first deals I closed as an advisor required that we go to our backup plan. 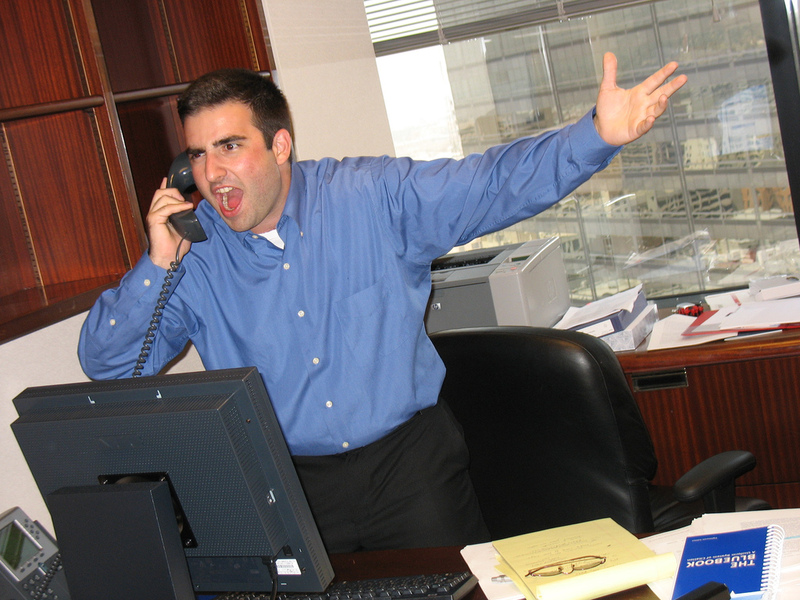 The buyer I found for my client’s business was great, but his attorney was terrible and overly aggressive. Fortunately, we had multiple buyers interested in this business. We explained to the buyer that his attorney was being unreasonable and walked away. We never closed the door with our buyer, and sure enough he came back to us with a different, more reasonable attorney. The first step to using leverage in a negotiation is to know when you have it and to know when you don’t. Being a skilled negotiator means being a nice, approachable person. Don’t storm in and shout the terms. It takes practice and experience, but the easiest way to learn is to think about how you’d like to be treated in reversed roles. When you do, you’ll end up having a good basis for a lasting, productive, profitable discussion.